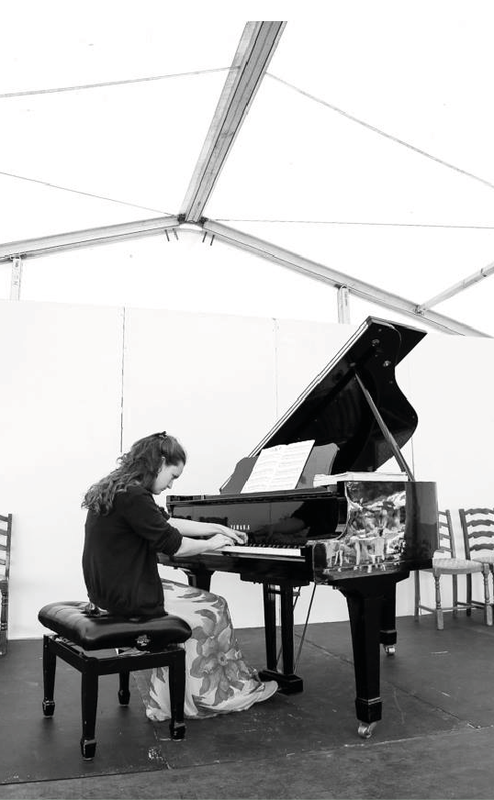 I started piano lessons age six with the amazing Kasia Borowiak (and a lot of help from my mum) with whom I continued to study at The Junior Guildhall from the age of 10. I went on to study in France at the CNR de Lyon with Hervé Billaut. I then did an undergraduate with Carol Presland on Manchester’s Joint Course with The Royal Northern College of Music where I was recipient of the Dora Gilson Scholarship and winner of the RNCM Bach Prize. I finished my performance training with a Masters at the Guildhall School of Music and Drama taking lessons with Charles Owen, Martin Roscoe and Paul Roberts. As a classical pianist I have a particular love of J.S. Bach. In contrast I also adore the music of Debussy and Ravel and often frame my concerts with these two contrasting periods. I also have a soft spot for the violin and have learnt much of the repertoire for violin and piano duo (see repertoire). A recent excitement was performing much of this repertoire in seven concerts on a cruise around the Mediterranean with wonderful violinist Charlotte Maclet. As a soloist and chamber musician I have performed all over the U.K., venues including the The Royal Festival Hall, Wigmore Hall, Cheltenham Town Hall, St. John’s Smith Square (where I performed the Gershwin Piano Concerto), St. James’ Piccadilly, The Little Missenden Festival, Alfriston Summer Music and The Hebden Bridge Piano festival, Yorkshire. I am also a yearly guest at The Art-in-Action festival, Oxfordshire. Determined that music should not be pigeonholed in to genres and passionate about making classical music more accessible to everyone I enjoy collaborating with musicians from all backgrounds and use my skills as vocalist and more rarely clarinettist also to play in many different styles. These ventures have lead to my founding several concert series including Live Junction (see performance projects) for which we recently won an Emerging Excellence Award from Help Musician’s UK.